Back in November, after the success of the National Cross country relays some wag had the idea that we should enter a team into the Southern cross country championships and even better, let’s see if the ladies might want to come along and do it also. 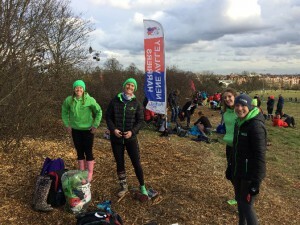 The aforementioned Wag and their capable lieutenants then set publicising the event through Redway runners and inviting (read Pressurising) others through a Facebook messenger group!! Once they had the money and we were all committed and entered then the vital (previously missing J ) details were shared among the group. The first very important piece that was shared was that the men were to run 15K and the ladies 8k!! Only a simple matter of increasing the usual cross country distance by 30% then!!! The second was that a secret that some of us knew, Parliament hill is famous for two things: Hills and Mud!! Still, we were as you say, in for a penny and in for the pound!! The event day arrived and we all gathered nervously around the red fun bus in David Lloyd car park at 10.30am. The first notable observation was that the women’s team were well coordinated in Redway runners green and looked very smart and the men didn’t , well except for our singlets ….woops. The usual ones were on time or early and the usual one (he who runs in funny sandals) was late, having gone to Westcroft rather than David Lloyd. There had been a few early casualties in the week who had cried off at the last minute which left us down, but not defeated. They don’t know what they missed. Anyway, the bus driver and chief of security for the day Abi Gooch took charge and launched the bus Southwards down the M1 and headed us in the direction of the big smoke!! The passengers chatted nervously and the windows steamed up with the hot breath of anticipation of the fun that lay ahead. We arrived at the venue and the first thing of note is that they ladies were prepared with wellies and the mens team were not, we negotiated part of the course and found the controllers hut and collected our numbers and then stared in awe at the start in the distance, at the bottom of a very very big hill that we had to run up!! The ladies, whose race was before us started to discuss team tactics. We were all put rather on edge by the loud voice from the commentators as they talked about each race leader and how they had ‘just been away representing England in the Europeans’ or had ‘been at the last commonwealth games’…. Serious stuff and enough to make one slightly twitchy. The ladies in their indomitable fashion weren’t phased by the events and just ‘got on with the job’ and started to prepare for the race. The men meanwhile were in a different place altogether!! Several sought out the solace of the portaloo, some went for a brief review of the course, only to return ashen faced and down of mouth and others (Paul Mizon) panicked about their spikes and kept going on about 12 inches when they meant 12 mill!! 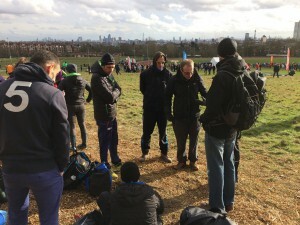 Whilst the ladies set off down the cliff face to the start line the men took out the Vaseline and slathered body parts and spikes in a vain attempt to reduce friction, and stop the spikes rusting in for next time and hoping that it would make them run faster. Genci disappeared for some time and we were worried we had lost him and suddenly Andy who had not travelled on the fun bus appeared as if from no-where. Dan decided to run in trail shoes and risk the elements but even the sandal loving one converted like the rest of us to spikes which we were all frantically sharpening, tightening and covering in Vaseline. There was a brief announcement, a loud bang and suddenly the ladies were off, now having lived in Africa, the sight from the bottom of the hill did truly resemble the elegance and grandeur of the antelope galloping across the Serengeti. The horde of 600 or so ladies narrowed and eventually began the arduous ascent of what felt like the North Face of some Himalayan peak. The leaders passed us at ridiculous speed and were ably followed by our team who disappeared over the crest of a hill between the trees. After what seemed an age, the ladies reappeared, appearing shocked, rosy cheeked but running with confidence we cheered them on and gave what encouragement we could but alas, as our race was shortly called we then lost track of their finish as we began to panic about our own start. The announcer hailed us and we quickly stripped off, some of us adhering to the no base layers and flappy shorts rule and some not!! We descended into the melee of the start to take our place in Pen 20 and to prepare for the start. Suddenly we were called forwards and the gun went and off up the hill we ascended alongside 1200 like minded individuals. Whilst the women resembled graceful antelope, I have a feeling that we were more akin to a herd of charging buffalo. Anyway, up the hill we went and around the corner to begin the first descent. Oh pleasure we thought, take it nice and easy and hold back, there’s 15K today!! Well, we soon found out why the ladies had rosy cheeks and were ashen faced as we began the next ascent which really and truthfully needed crampons and ropes. Clearly the ladies had done exceedingly well to have put up with this, but what a roller coaster ride we were in for !! Unlike Alton towers, we got to do it three times without stopping !!! 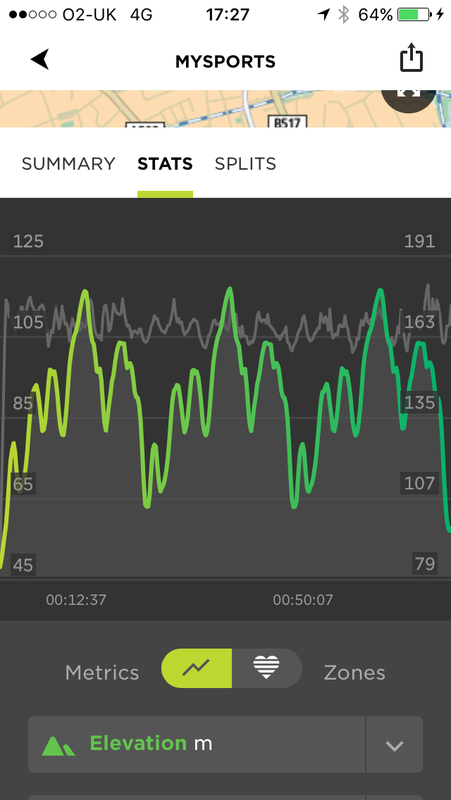 Mind you , as you can see from the graphic, the best thing was that the final kilometer was all downhill, now who can gues which kilometer may have been my fastest …. Anyway, the abiding memories of the day are many and I am sure that following our post race analysis at the Ship Ashore there are many learns from the event. 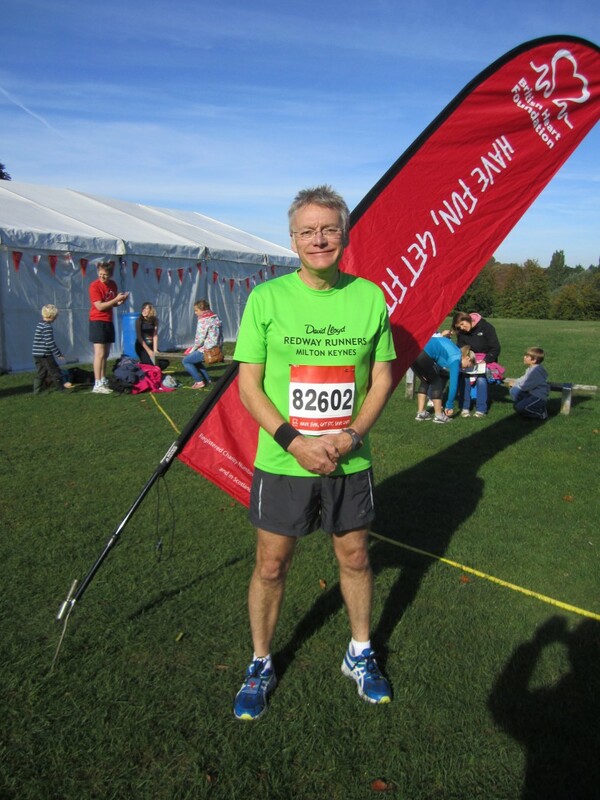 We had a fantastic day and really felt that we represented Redway Runners well. Anyway, a fantastic day was had by all and we would love to encourage many more to join us as we really had fun and the team spirit was fantastic. Thank you to Paul and James for organising and entering us, Abi for the Bus driving and Sarah for sorting out the parking that we had forgotten to do !! Above all thank you and well done to all that turned up on the day, we have many a tale from the runs, but the best part is, they got there, they weren’t overawed by the stars and everyone gritted their teeth and finished the race. Well done. Redway Runners medal hangers, pleased to let you know that Kevin from the club has offered to produce medal hangers for members. Prices include VAT, 2x screws and 4x washers, plus any profit from the order will be donated to the club charity of the year. Delivery would be about 2 weeks from the order being placed, price does not include delivery as would pick up direct from Kevin. 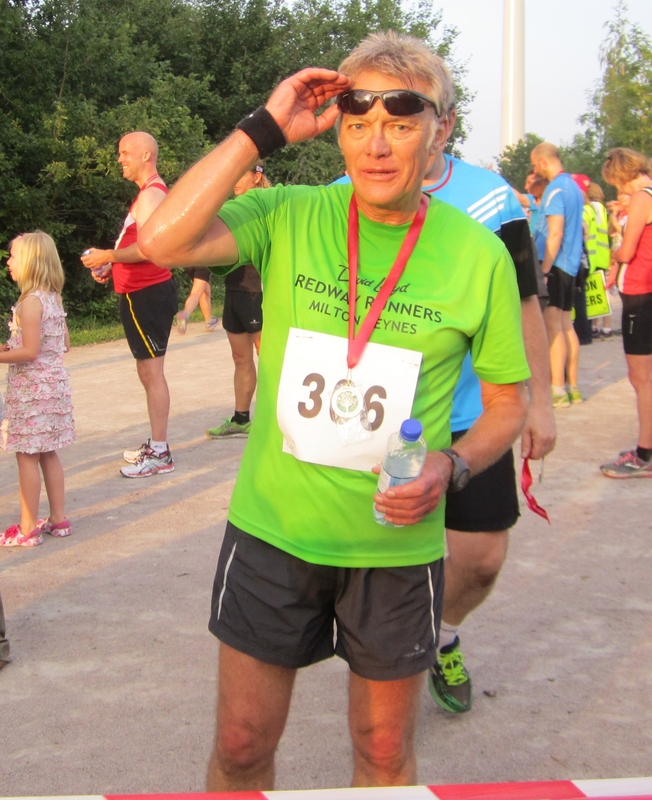 However, in order to progress we need a minimum order of 10 in one type to progress, so if you are interested please mail us at rr@redwayrunners.com with your name, e-mail address and type you want (dull polished or Mirror). Then providing we get the minimum order will confirm and provide details of how to make payment and we can place an order. My daughter dragged me to parkrun in October 2012. I then ran with Pagnell Pacers for nine months. I decided to join RR as I’d heard they did different sessions and entered events. Being part of Redway Runners has been one of the best things I’ve ever done. Group running is primitive, hunter-gatherer stuff and makes me feel alive: running in the fresh air, enjoying the different seasons. We are lucky to have this beautiful environment all around us in MK. In RR there are so many different people. In conversation with others, I know that for some of us it’s been life-changing. We all face challenges in our lives and the club is a sanctuary – as it has been for me – so I have great empathy and respect, especially for those having a hard time. It was a Monday night social. I was nervous but Martin introduced me to a couple of people and I felt on top of the world. When and who do you run with in the club? Monday social, Wednesday morning, Thursday social and Sunday. There are so many people I run with – too many to name. Just love the company and the banter. 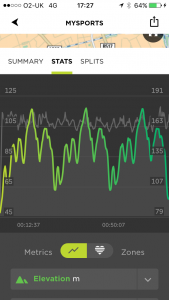 At 17 I ran 4.39 for a mile at school – my quickest. After that it was all downhill! I hope my times just get slower, more slowly. To maintain my mental health and enjoy the company of others. Restoring a TVR V8s, or a Gilbern Invader. Thomas Plant (Bargain Hunt); and Mike Bushell. Both at Blenheim 10K in different years. Martin’s Sunday run from Newport out through Lakes Lane. Herons – and children out running with their mums and dads. Sunday run last year, a vicar kindly braked to let us cross a road, not realising how many we were. As we crossed, Len Vaughan casually remarked to him: “Busy day?” I thought it was hilarious. Eddie Izzard, Dame Kelly Holmes, Dave Brubeck Jnr. I’m happy with the half. It doesn’t dominate your life beforehand but is a real achievement. We are pleased that this years second UK trip has been decided and it will be to the Manchester Half Marathon on the 15 October. Entries are now open for the Redway Runners Festival on Running and it is only for paid Redway Runner members. It was ready, steady, go for the start of MK50 celebrations thanks to local running club, Redway Runners. A flash mob of 130 runners could be seen in a number of locations on the first Bank Holiday Monday of the year to celebrate the start of MK’s 50th birthday. The ‘Icons Run’ saw them cover over 13 miles of Milton Keynes from Willen Lake to the train station and back again visiting fifty MK iconic places along the way. These included the Peace Pagoda, Campbell Park and the Point. They even managed to surprise shoppers by running through The Centre:MK! 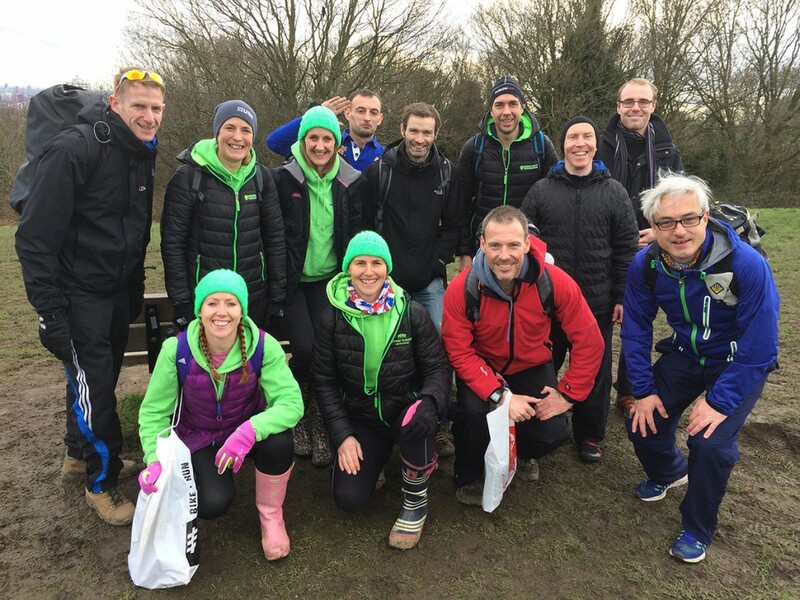 To finish off the run, and bringing things right back up to date, they performed the mannequin challenge whilst running up Campbell Park Hill – quite a task for 130 runners to keep still for so long! 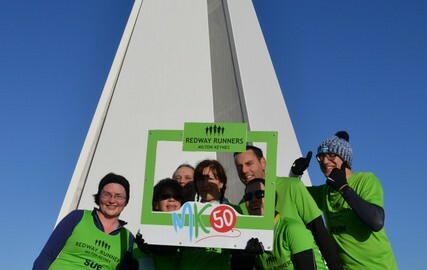 The Redway Runners have a number of events planned in 2017 to celebrate MK50, and you can find out more on their website – www.redwayrunners.com or by following them on Facebook. 130 runners took part with the help of four photographers, Ellie, Laura, Martin and Tim together with a tail biker Sue to make it all possible.